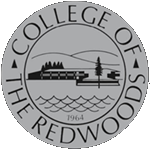 The College of the Redwoods’ Program Review Committee (PRC) leads and facilitates authentic assessment as it relates to student success and planning at the institution for all subject and service areas. The committee reviews Annual and Comprehensive Program Reviews that provide the strong foundation upon which College of the Redwoods develops, identifies, states, and documents quality improvement plans and goals including providing the direction of prioritization of funding and support needs as organized under the strategic planning objectives. The purpose of the Program Review Committee is to review and evaluate annual and comprehensive program review documents for all subject and service areas. PRC finalizes each program review or annual planning document with an executive summary for the Integrated Planning Functional Committees (IPFCs) and for the District. The PRC is a representative group that makes recommendations about the content of Annual and Comprehensiveprogram review documents as well as disseminates data to the various integrated planning committees. The PRC includes a cross sectional representation of employee groups as well as student representation (if identified). The Committee is led by two Co‐Chairs— the Vice President of Student Services and the Vice President of Instruction or their designees. Program Review committee memberships of faculty, staff and students are made in two‐year alternating appointments to provide continuity and ongoing history for the Committee. Each member has the responsibility to attend each meeting and adhere to the committee’s rules. Members with 3 absences in a semester may be replaced by the appropriate constituent group. Members are responsible to disseminate committee information to their respective constituents. In support of AP 4021, PRC will forward at risk instructional programs, to provide feedback to CIO and academic Senate on program revitalization and discontinuance. PRC will forward to appropriate VP any service area programs identified with identified performance concerns.